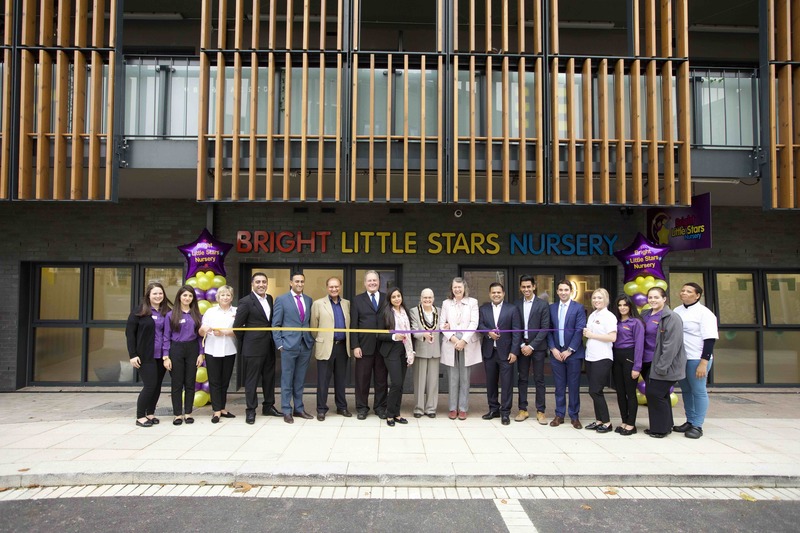 The founders of Bright Little Stars Nursery endeavoured to create a nursery with a unique learning programme and a pre-school that understands the importance of providing the highest quality Early Years care and education. 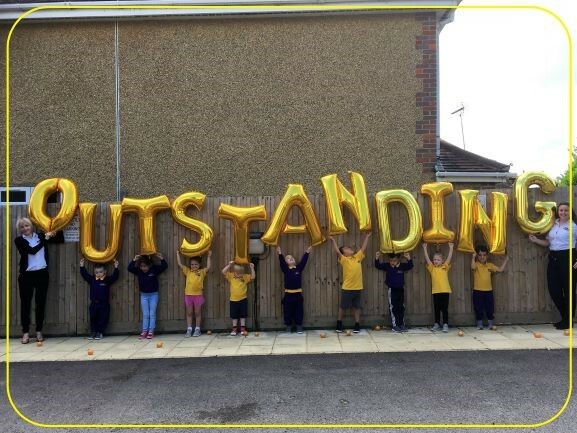 Our sincere desire is to provide every child with exceptional care, the same learning and teaching opportunities whilst supporting eac h child to reach their own individual potential in a happy, healthy and safe learning environment. At Bright Little Stars we aim to provide a happy, healthy and safe learning environment in a caring and creative atmosphere. We respect children as individuals and encourage them to follow our ethos of truth, love and compassion. We would like every one of our children to gain confidence in themselves, to achieve their full potential and to nurture their independence. Our emphasis is on providing exceptional care and learning whilst supporting each child individually within a framework of the highest ethical standards and equal opportunities. 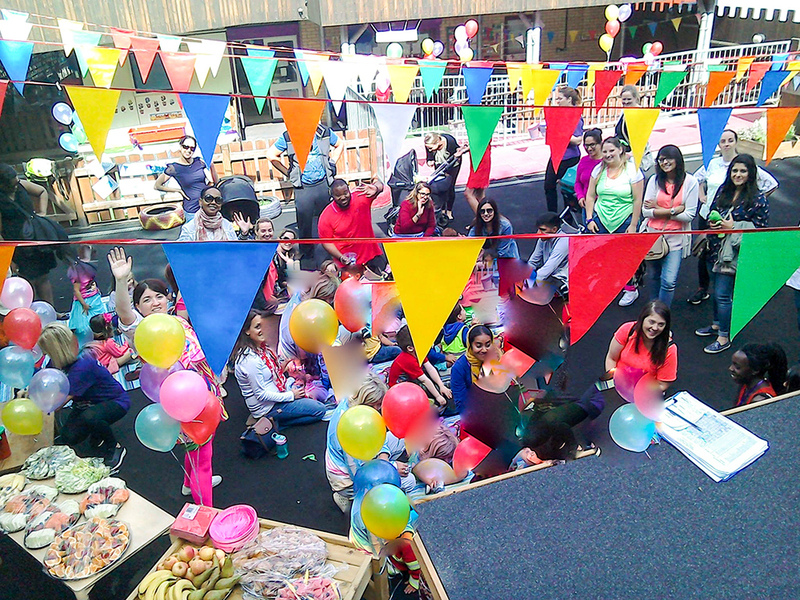 We believe that the development of children through creative play, learning and teaching is essential. Children are stimulated through our planned and child-initiated activities, which include educational elements. The EYFS Statutory Framework sets the foundation of our curriculum and our unique Bright Little Stars Learning Programme aims to challenge and motivate young children’s thinking and have a positive impact on every child’s learning. Through stimulating activities and plentiful learning opportunities we aim to create the most solid foundation for your child’s future learning and development. We provide a wide range of high quality educational equipment, materials and activities, both indoors and outdoors, appropriate for the different stages of a child’s development. At Bright Little Stars all our rooms have direct access to outdoor areas allowing children the freedom of choosing where they would like their learning to take place, choice to explore, use their senses and be physically active and exuberant. Children are provided with balanced healthy meals freshly prepared onsite, fresh air, exercise, rest and play which all contribute positively to their intellectual, physical, emotional and social development. We continually work in partnership with parents from the outset with settling in sessions prior to a child starting at nursery. 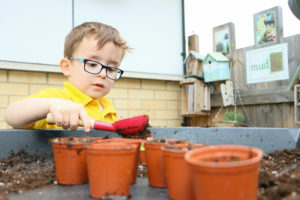 We support parents and carers in the developmental needs of their children, both at the nursery and at home, and encourage parents to have an active involvement in nursery life. Furthermore, we implement regular progress meetings with a child’s Key Person, parent’s evenings, workshops, involvement sessions, a Parent Partnership Group and online Parent Area. Fundamental British and Human Values of democracy, rule of law, individual liberty, mutual respect and tolerance for those with different faiths and beliefs are embedded into the culture, curriculum and daily routines at Bright Little Stars Nursery. We offer an inclusive approach, valuing and respecting the individual needs of all children and their parents whilst preparing every child for school within a framework of the highest possible standards. We advocate a wide spectrum of extra-curricular clubs at no extra cost so that all children have equal learning opportunities. 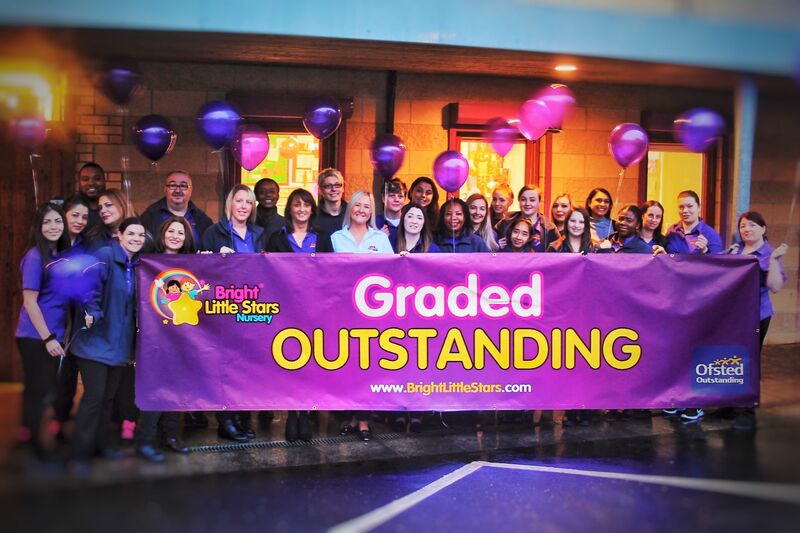 We are confident this all-round experience at Bright Little Stars will equip and prepare children for their next stage in life. Your future school choices are supported by us having relationships with local schools in the area. We are committed to ensuring your child is as ‘school ready’ as possible, whilst recognising that each child develops as an individual. We will achieve this by working closely with parents on areas such as personal and social skills, speaking listening and communication and independence. We firmly believe in inspiring our staff to be better, with excellence in everything we do. We aim to recruit passionate practitioners and grow staff to be the best that they possibly can be. We believe that by investing in our staff we will continue to build a committed, effective and motivated team. We develop, promote and keep all our staff up to date with current research, Early Years and education trends; this enables them to implement the very best practice that training can empower them with. We are open Monday to Friday from 8:00am to 6:00pm, 50 weeks per year excluding Bank Holidays for children aged 6 months to 5 years. Our sessions comprise of a choice between part-time or full-time discounted care. Morning sessions run from 8:00am to 1:00pm. Afternoon sessions are from 1:00pm to 6:00pm. Children can be dropped off and/or picked up anytime within their relevant session time; within our Supernova Learning Room we do aim to begin our ‘Teaching Time’ at around 9:00am. The safety and security of your child is as paramount to us as it is to you. We have installed a full security system using the latest CCTV and a secure entry/exit system with direct links to the emergency services to ensure the safety and security of all children in our care. Our premises are secure, we operate fingerprint I.D. access at all our Nurseries to help ensure only parents or authorised individuals enter. We ask for file photos of anyone with permission to collect a child and photo identification will be requested before a child can be signed out of the Nursery. We keep our records up-to-date so we are always able to contact parents or their alternative designated contact in an emergency. We insist all our staff undergo the highest level of rigorous safer recruitment and DBS checks when they join our team. Our staff are trained in vital security procedures, first aid and emergencies and this is maintained through regular training. NurseryCam is available to our parents through a secure controlled system to give extra reassurance. All visitors are required to sign-in and out at reception. At Bright Little Stars we recognise that children’s all round growth and development requires the careful construction of a learning programme and environment which respects children as individuals and fulfils the needs of the ‘whole child’. Therefore, our passionate teachers and practitioners skilfully plan for children as individuals through varied teaching methods and programmes. The foundation of our curriculum has been set by the Early Years Foundation Stage (EYFS) Statutory Framework. Our unique Learning Programme aims to challenge children’s thinking and allows children to reach their full potential. 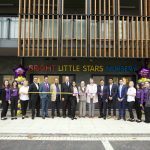 The Bright Little Stars Learning Programme incorporates Mathematics, Literacy, the exploration of Science and Botany, Culture and Geography, ICT, the multi-sensory Ben and Betty programme and an exciting range of Extra-Curricular Clubs. We begin by nurturing babies, teaching them to learn through their senses, explore and provide them with independent access to resources. This enables babies to gain confidence, independence and a sense of themselves allowing them to become self-motivated to learn. We move on to promoting courteous social skills for toddlers, reinforcing positive behaviours and supporting them to manage their feelings and communicate their needs. Children are later prepared for school through a more adult led style of teaching. 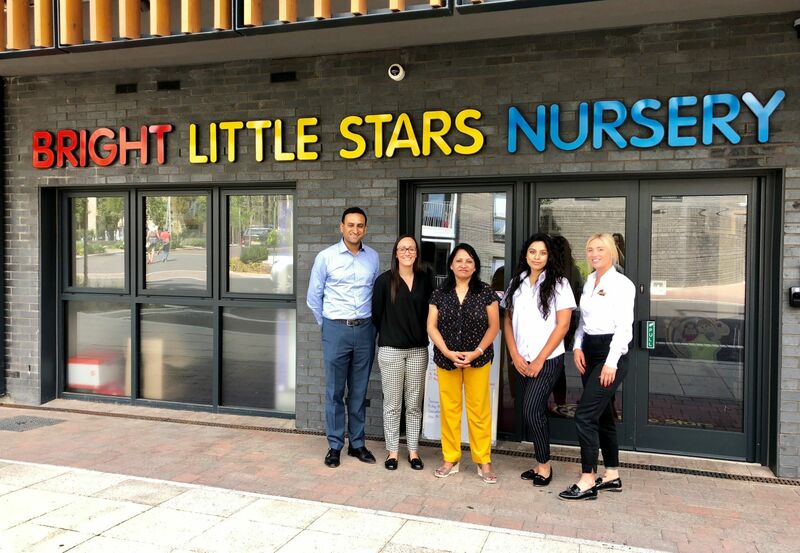 Bright Little Stars Nursery endeavours to continually work in partnership with parents and carers and sees them as the child’s first and most enduring educators. It is known that what parents do at home with young children has the greatest impact on a child’s social, emotional and intellectual development. When parents and practitioners work together in early year’s settings, the results have a positive impact on children building their confidence, self-esteem and trust. 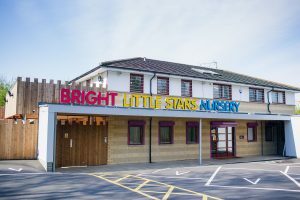 Once a child has a place confirmed at Bright Little Stars, a number of settling sessions will be arranged to ensure that each child feels secure with their new environment and has a smooth transition into nursery life. Your child will be required to attend three settling sessions prior to starting nursery, typically the week before the official start date. 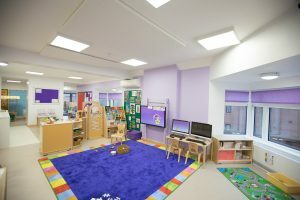 To enable us to focus the nursery experiences around your child as an individual when settling or transitioning to another room parents are required to share valuable information about their child, for example, what is special to them, favourite activities and personal needs, including medical, feeding and sleep patterns. We are thoughtful of each child’s individual needs in relation to the settling and ensure a flexible approach is fostered. 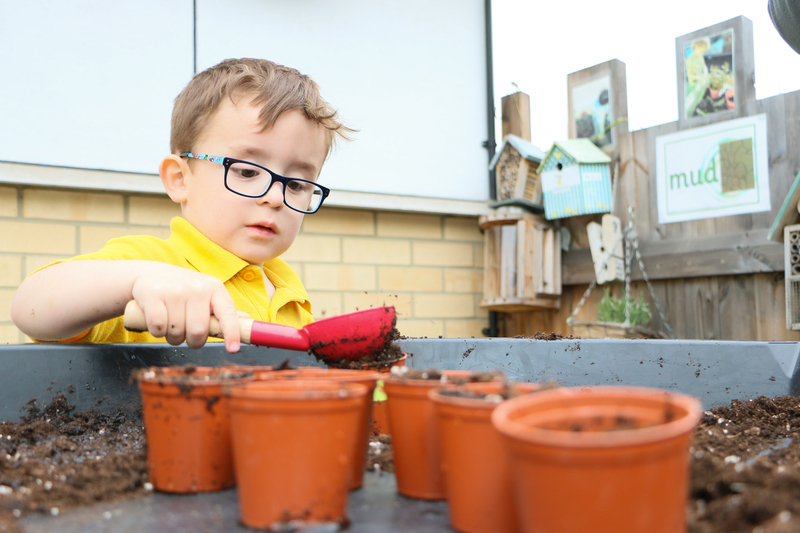 We support parents and carers in meeting the developmental needs of their children, both at the Nursery and at home, and encourage parents to play an active part in nursery life. As a parent you will have the opportunity to attend our complementary interactive workshops which include specialist Paediatric First Aid, Helping Parents Keep their Children Safe, Building Positive Routines for under 2 years, School Choice Information, School Readiness and Phonics for children who are beginning their journey to Reception Class. Jenny Briggs, our Ben & Betty Learning Coordinator, works closely with our School Relationships Manager to further enhance these sessions on a practical level. We are excited to be able to hold regular Breakfast and Afternoon Tea Clubs for parents. The main purpose of these events is to ensure exceptional communication and form effective relationships between parents/carers and the Nursery. We take great pride in listening to our parents and we welcome this opportunity to strengthen our relationships. The events provide valuable insight into the ongoing development of the Nurseries, suggesting new ideas to ensure we maintain high quality standards, for example our pedestrian crossing at our nursery in Mill Hill and Complementary Parent Paediatric First Aid across the group. In addition to these clubs there are further opportunities for involvement such as: Parent Involvement Sessions, Stay and Play groups to support separation anxiety, Annual Festive Events, Graduation for our Supernova children, Grandparents’ Tea, Fundraising Events and more. For our Milky Way parents Dayshare helps us share the exciting activities which have occurred that day in the form of an online diary. Dayshare captures every aspect of a child’s day including: how much they have eaten, wet and soiled nappies, number of naps and what activities they have been taking part in. We can also send parents gentle reminders about upcoming events, changes to routines and even a request to settle an outstanding invoice. We are able to send a Dayshare report, directly to a parent’s inbox, at any point during the day. We use Footsteps software to follow the learning journey of each child throughout their time at Bright Little Stars. The Key Person will document regular observations on each child to inform their next steps and planned activities, to meet the child’s individual needs. By tracking each child’s progress, the Key Person is able to capture an all-round overview of their progress. The Key Person is able to include photographs within the learning journey, to illustrate the observations, which can be viewed securely by the parents. Sharing the child’s learning journey electronically enables parents to contribute whilst following their child’s unique journey. We are delighted to be offering the services of a Parent Portal, via a smart phone or web log in, which allows you to see a timeline of your child’s activities and learning journey with us in real time, account balances, a diary of all sessions booked (both permanent and extra sessions) and the ability to update any important information for your child such as allergies, medication, illnesses, permissions and contact details. We have a special Parent Area log-in page for parents with children registered at each nursery where useful information including diary dates, newsletters, current menus, photo gallery, key policies and procedures can be found. A password is required to gain access. 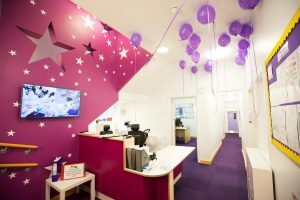 Parent consultations are held regularly at the setting, for you to meet with your child’s key staff and to discuss your child’s development in more detail. These evenings also provide opportunities to meet other parents and staff from the Nursery. We value your feedback on how the nursery is performing and your child’s progress; we operate an open-door policy on a daily basis for general comments and suggestions as well as issuing a formal Annual Parent Survey. In addition, we welcome parents to leave online reviews – guidance of how to do this can be found in the secure Parent Area. We have installed NurseryCam to provide parents with children enrolled at the setting the opportunity to ‘drop in’ via a secure webcam facility. This allows you to stay closer to your child, see for yourself how happy your child is at Nursery and to be more involved in your child’s daily activities. Bright Little Stars Nursery is proud to invest in Community Playthings furniture and toys. Community Playthings have been designing and manufacturing specialist furniture and equipment in the UK for primary schools and early year’s settings for over 50 years helping to create beautiful learning environments. Their products are designed by people that have been caring for children since 1920. All their resources are made from beech wood and each segment is cut by hand in the community’s wood shop. Their furniture is adaptable, allowing the environment to be changed and developed to stimulate children and keep things new, exciting and fresh. Like us, they believe that children thrive on imaginative and open-ended play which encourages them to learn better and grow up to be self-motivated learners. 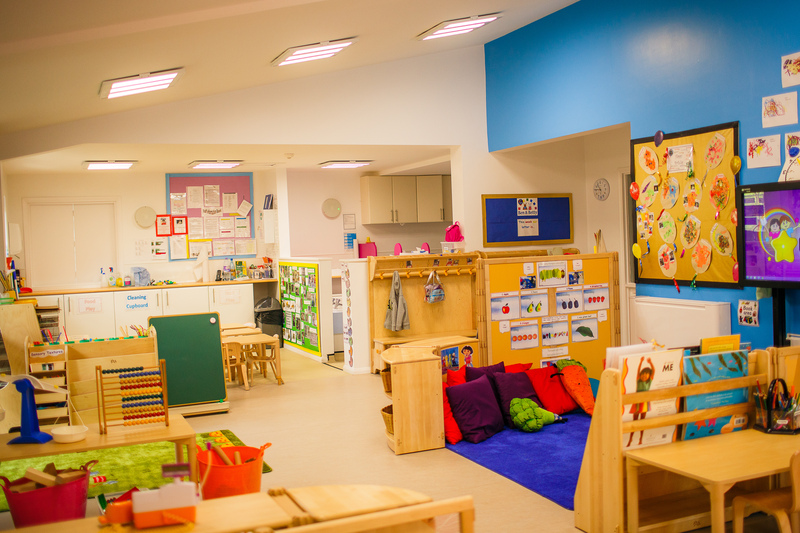 We have worked together with Community Playthings using their extensive knowledge to create an inspiring environment at Bright Little Stars Nursery enabling children to move around safely and enjoy learning whilst having fun. Using Community Playthings resources has helped us to create bright and homely learning rooms which feature furniture with rounded edges at an appropriate level for each age group, toddle boxes for our littlest ones, enchanting reading areas, intriguing activity and role play corners, areas of calm to help children to concentrate, exciting play-gyms and engaging construction areas which include their hand-crafted wooden blocks. There is also plenty of opportunity for creative arts and messy play such as sand and water. We are blessed to have an array of toys and learning tools made from natural resources, supporting our passionate and skilful staff to provide fantastic learning opportunities for every child to develop and explore in a wonderful environment. At Bright Little Stars we are committed to providing your little ones with healthy and wholesome food freshly prepared by our onsite chefs. Research shows that nutritious meals improve a child’s concentration and will support them at Nursery with all the energy they will need for a busy day of play, learning and development. Our bespoke innovative menus have been developed in partnership with and analysed by our chosen qualified registered Nutritionist, Ester Donoff (BSc Hons, MSc, mBANT). We have also incorporated feedback from our parents via our Annual Parent Surveys, popular choices of the children and input from our highly trained kitchen staff. We have four weekly rotational menus for every season allowing children to taste a wide variety of foods whilst keeping them excited about meal times and support positive associations with food and healthy choices. Each meal has a vegetarian option, all allergens highlighted and is accompanied by a detailed nutritional breakdown for parents to view on our online parent portal. Copies of our current menus are available in the Nursery Reception and our daily menu is on display in the rooms. We also believe in educating children about food to encourage them to make healthy food choices for themselves. 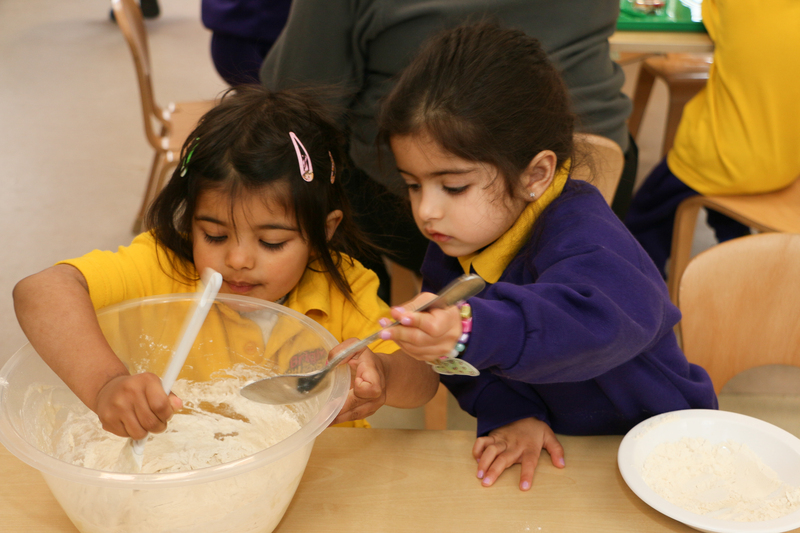 We introduce children to growing and eating a wide variety of foods and we encourage parents to get involved in cooking activities at home and at Nursery. Mealtimes are fun and an opportunity to learn. Staff sit down together to have a ‘family-style’ meal. The children are supported with eating where necessary, yet given full encouragement to be as independent as possible. We promote good table manners so that children quickly grasp key skills and food etiquette for example washing hands, setting the table, serving themselves, sharing conversation and clearing away afterwards. Bright Little Stars offers breakfast, snack, lunch, snack, afternoon tea and a late snack. The cost of this is included in our fees. During the day the children will have breakfast between 8:00am and 9:00am consisting of toast, various cereals and milk, lunch and dessert at 11:30am and an afternoon tea at 3:30pm. We also serve healthy snacks consisting of fruit/dried fruit, crackers or rice cakes typically at 10:00am, 2pm and 5:30pm. If your child has any special dietary needs based on medical/allergy conditions, religious or cultural requirements, please just let us know and we will be happy to discuss this with you and accommodate your child’s individual needs. At Bright Little Stars Nursery we believe children come first. We pride ourselves in having a high quality team who are dedicated, committed and work together to provide a warm, welcoming, safe and stimulating environment for the children in our care. All our staff are recruited based on their qualifications, experience and commitment to the children in their care. We take the responsibility of keeping our children safe very seriously and we adhere to the CWDC’s Safer Recruitment guidelines every time we recruit a new member to join our team. All those who work with young children will have passed an enhanced DBS check as the safeguarding of all children is very stringent within our setting. Staff undergo an induction period and regularly attend courses provided internally and externally by local authority and by Early Years Teams as well as internal training through Early Years Consultants. 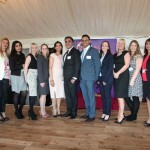 This helps them to develop knowledge and skills and to facilitate their career progression as well as keeping up to date with childcare changes. All our staff receive training in Safeguarding and Child Protection, First Aid, Food Hygiene, Behaviour Management and Risk Assessment. These qualifications are renewed on an on-going basis. 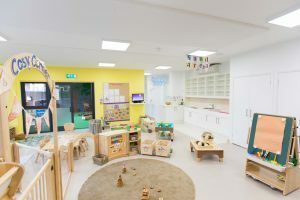 Our staff team comprises of Directors, Nursery Managers, Deputy Managers, Qualified Teachers, Room Leaders, Senior Nursery Nurses, Nursery Nurses, Nursery Assistants, Lunch-Time Cover Assistants, Apprentices, as well as general support staff including a Nursery Administrator, On-Site Chef and Cleaners. For more detailed information, please see our Staff Team Board in our Nursery Reception. Mandy Guttadauro, is the Area Manager of the Bright Little Stars Group. Mandy was previously a Nursery Manager at our first nursery in Mill Hill and she brings fifteen years of experience in Early Years working as a manager of nursery and pre-school settings. 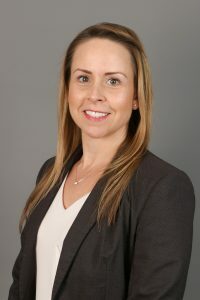 Mandy is also a Qualified Freelance Ofsted Inspector and a graduate having completed both the Early Years Professional Status and a BA Honours Degree in Early Childhood Studies. She is enthusiastic about using all her training and experiences to date to keep Bright Little Stars Nursery continuously developing and of a high standard. Mandy is proud to oversee a very talented, well-trained and passionate growing staff team at Bright Little Stars Nursery. Seeing children happy and knowing that the staff team have influenced their learning and development is Mandy’s greatest reward. Providing children with rich learning experiences is central to Mandy’s approach and she believes in making a positive educational influence on each and every child attending Bright Little Stars Nursery. Her dedicated approach has seen her consistently raise standards and improve the Ofsted grading in all the nurseries that she has managed. 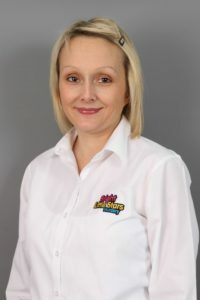 Kelly Dunn is the Nursery Support Manager of the Bright Little Stars Group; Kelly works alongside our Area Manager. Having progressed her career within the Early Years sector for over 20 years’, Kelly has held various roles ranging from Nursery Practitioner to Senior Nursery Manager. During her time as a Nursery Manager, Kelly led her team to achieve and maintain three consecutive Outstanding grades from Ofsted – this she believes was aided through a reflective practice approach and a willingness to make continuous improvements for children. Kelly is keen to develop her own skills and knowledge and in 2014 Graduated with a First-Class Honours Degree in Early Years Professional Practice. In addition to leading and managing Day Nurseries, Kelly also has three years’ experience lecturing Early Years Foundation and Honours Degrees for Anglia Ruskin University. Kelly believes that every child deserves to receive the very best start in life and is delighted to be working with like-minded professionals who share the same aspirations and the desire to make a difference to the children we have the privilege to care for. Gill Baldemor is the Head of Teaching and School Relationships of the Bright Little Stars Group. Gill’s in-depth knowledge of schools and the Early Years Foundation Stage brings a wealth of expertise and ideas that she is eager to share with BLS practitioners, children and parents. Gill is particularly keen to give parents the skills and confidence in supporting their child’s learning at home. With the aim of working together to give their child the best possible preparation for ‘Big School’. Sonali is a founding staff member of Bright Little Stars. She originally qualified and practiced as a solicitor in 2006 working in The Lloyds of London building in the City. Shortly thereafter Sonali moved to Switzerland where her love for children led her to work at the Inter-Community School Zurich. Upon relocating back to London she joined The American International School in St. John’s Wood as part of the Lower School for a few years, most notably in the Creative Arts Department for Kindergarten until she left to join the Bright Little Stars family in 2012. Sonali has a passion for working with children. 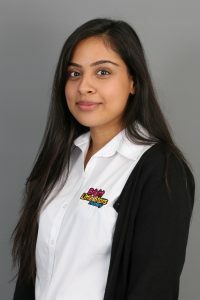 Her unique background and varied skills have enabled her to add value to many aspects at Bright Little Stars from working in the learning rooms to being in the office and developing the Bright Little Stars brand and marketing strategy. 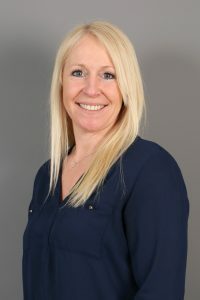 Nicola Freeman is the Nursery Manager of Bright Little Stars Watford and has over 20 years’ experience in the Early Years industry, qualifying with her NNEB diploma in 1995. Nicola has worked in a variety of roles, with over 12 years being in a managerial role and has always had a passion for caring for children and helping them in the first years of their lives. Nicola has been involved in the setup of various nurseries and has led her team to achieve outstanding practice in all areas from Ofsted. Nicola regularly attends Ofsted approved courses to update her knowledge and to develop her team further as well as benefiting the nursery to make it a special place for everyone. Nicola believes in promoting a high quality Early Years experience and ensuring that every child is treated as an individual enabling them to develop to their full potential. Nicola’s office door is always open and she prides herself on being flexible and welcoming. 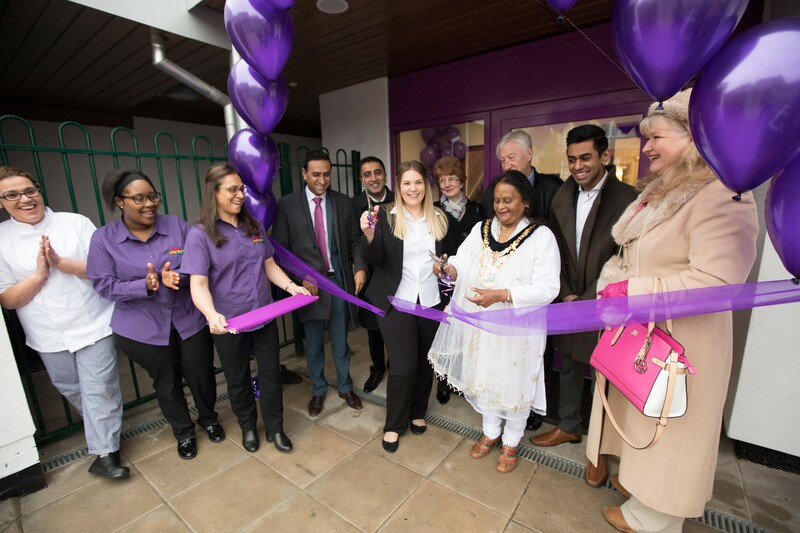 To find out more about Watford, please visit our Watford page. Lisa Orbell is the Nursery Manager at our Mill Hill Nursery. Lisa has 17 years of experience working in Early Years, 11 of which as a manager in private day care settings. Lisa has a BA Honours Degree in Early Childhood Studies and is continuously updating and refreshing her knowledge and skills. 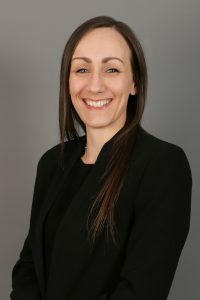 Having successfully led her team to achieve outstanding in all areas, from Ofsted, Lisa is committed to providing a safe, secure, fun and stimulating environment for our children. Lisa is passionate about her role as manager and leads a skilled and experienced team in providing a high standard of love, care and education for all. Her warm and caring nature shines throughout the nursery and makes Bright Little Stars in Mill Hill a truly wonderful setting. 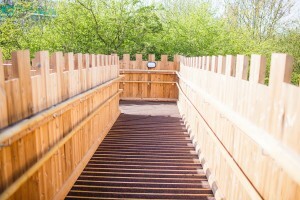 To find out more about Mill Hill, please visit our Mill Hill page. 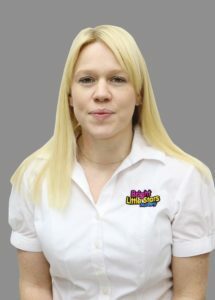 Wendy is the Nursery Manager at Bright Little Stars in Harrow and has over 10 year’s experience working in the Early Years sector, having qualified with a Diploma in Childcare and Education and a Level 3 in the Principles of Management. Over the years, Wendy has worked in a number of different roles across nurseries and for the last 4 years in a managerial role. Wendy thrives in a busy environment and is passionate about ensuring the children and her staff team reach their full potential. She has excellent communication skills and the ability to motivate and encourage staff as well as being very approachable and welcoming. Wendy actively promotes a safe and exciting environment where children can grow, learn and be happy. Wendy has always worked within the Early Years sector and believes it is the most rewarding job where there is nothing better than watching children overcome hurdles, build their personalities and watch them thrive. 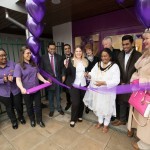 To find out more about Harrow, please visit our Harrow page. Sarina Pithwa is the Nursery Manager of Bright Little Stars Stanmore and has 10 years of experience working in the Early Years sector. Sarina started her career as an Early Years Apprentice and has since held a variety of teaching and leadership roles. Maintaining high standards in care and education comes naturally Sarina, allowing her to progress her career and do what she loves in a management role. Sarina is proud to be a positive approachable Manager, providing support and guidance to her staff team. She thrives on creating a loving and nurturing environment for children from a very early age. Sarina has a keen interest and developed knowledge of the Reggio Emilia approach; she demonstrates this throughout her practice and the nursery environment by using natural materials and providing the children with real life experiences and practical life skills. To find out more about Stanmore, please visit our Stanmore page. 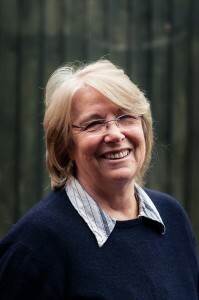 Jenny Briggs has been an educational leader in her field in education for over 40 years with a special focus on the Nursery and Infant sector throughout. Currently, Jenny is the owner of Ben & Betty Ltd. Learning through play BEN and BETTY is the only all-in-one multi-sensory, interactive, activity based phonic programme for children in the UK. Through play and activities this programme introduces, develops and reinforces core skills in literacy, phonics, numeracy and reasoning as well as basic computer skills, and engages children with learning in a fun, versatile, child-centred way, building on a child’s natural curiosity and fostering a lifelong love of books and learning. Her aim has always been to give every child the best start and the opportunity to fulfil his or her potential. Ben and Betty continues to give her the opportunity to do what she loves most working with educators, carers and parents offering training, guidance and support to give every child this chance. 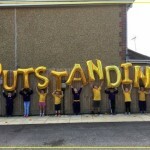 She was delighted to accept the National Gold Overall Winner Award from The Practical Pre-School Awards 2012. For further information on the Ben & Betty programme, please visit the Ben & Betty website. We have specially designed bright learning rooms featuring plenty of natural light with modern facilities and carefully selected resourced suited to each particular age group. Your child will be allocated a Key Person who will work in partnership with you and support your child’s well-being from the very beginning. They will also complete on-going observational records and assessment in your child’s very own Learning Journey folder. Children move up to the next room when they are ready based on their individual needs. When the time comes, children are gradually introduced to their new room to enable them to get used to their new key worker and environment. Our Baby Rooms are specially designed to allow our littlest ones to move around safely in a clean and caring environment. We operate a strict no outdoor shoe policy in this room. 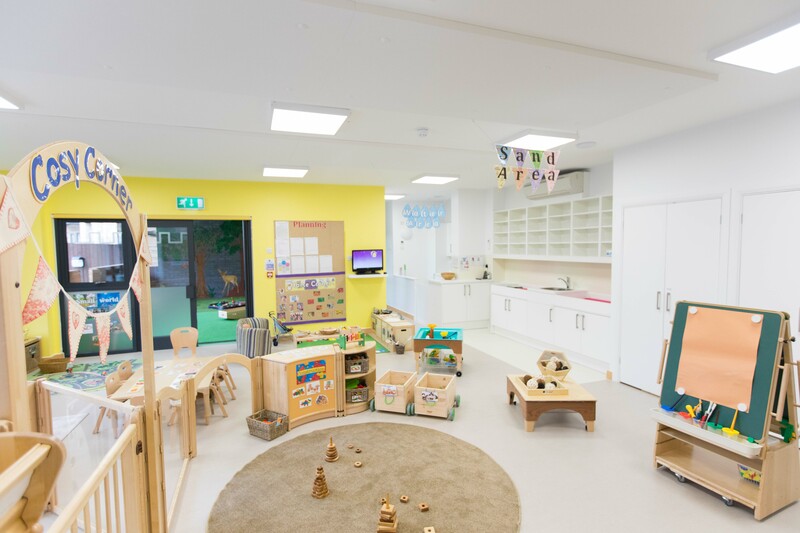 The rooms are built as independent units of their own, featuring a milk kitchen, multi-sensory room, separate sleep area to ensure babies get all the rest they need, intimate care area and their own outdoor space. We are sensitive and respect that young babies and pre-toddlers have their own routines so we base care plans around their individual needs and we try to follow any routines that you have established at home. 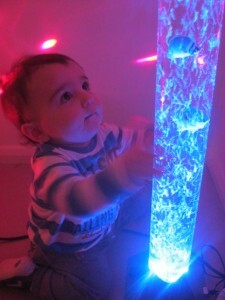 Young babies and pre-toddlers have designated areas for exploration and learning. We provide them with stimulating experiences, activities and choice to promote their well-being and development based on their individual needs and abilities. Each Toddler Room caters separately for confident walkers, pre-toddlers and rising pre-school children. Rooms are carefully planned to support toilet training with intimate care and child-sized bathroom areas situated within the learning rooms themselves. This is an exciting time of exploration and discovery. We work on developing their physical skills and intellectual abilities. Children develop at different rates and each child’s progress is individual to them. We encourage children to gain independence through making choices and children have free access to a variety of resources and interactive LCD computer screens. It is during this Toddler stage that the Learning Programme fully unfolds. This is where preparation for school takes place and a variation of school style learning begins. We recognise the importance of your child’s all-round development and promote their social, emotional, intellectual, physical and language skills. A more structured programme of learning and play is incorporated in preparation for their transition from nursery to school. The range of learning programmes and extra-curricular activities grows to meet focused objectives and to ensure children are having fun whist learning. Children enjoy taking part in daily registration times, have individual achievement books and wear a simple and comfortable uniform. When the times comes, we are here to support your school choices and your child’s transition to school. 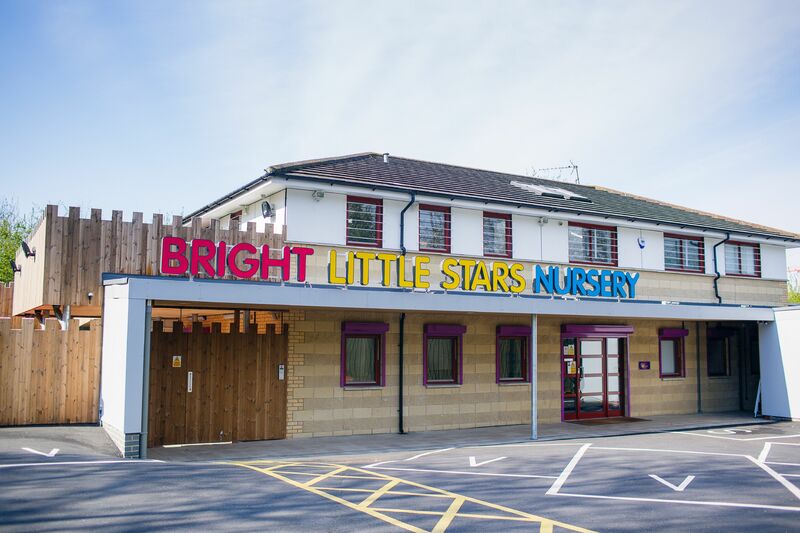 A typical day at Bright Little Stars Nursery is packed with plenty of learning and fun including freshly prepared meals/snacks, our unique learning programme and an exciting range of extra-curricular activities as part of our all-inclusive approach and fees. The children are welcomed warmly and settle in to have breakfast. The learning room is carefully planned and set up to provide a variety of possible learning experiences and to meet a number of learning objectives. Activities involve language groups, messy and maluable play, story times, role play, heuristic and sensory exploration, science experiments, physical activities and extra-curricular sessions both indoors and out. A range of large group and small key person time takes place, both adult led and child-initiated. The children are planned for individually and as groups to ensure their personal development and social needs are met. Babies have the opportunity to sleep within a designated sleep area according to their individual routines. We have open access water stations for older children and younger children are offered water from individual water beakers throughout the day. Snack times are social times and opportunities for learning and the promotion of social skills. Therefore snack times are held in a variety of ways including self-serve and preparation snack times, rolling snack times and canteen style snack times. Babies under one years old are served organic snacks. A hot two-course, home-made lunch, prepared by our qualified on-site chef. Lunch times are also social times, therefore children learn to lay the table, practice good table manners and handle their cutlery correctly. Babies and Toddlers take a nap after lunch, while older children choose to have quiet time or a rest. The morning session ends and children are collected as the afternoon session begins and children are dropped into nursery for an afternoon session. Children who are waking up are offered a drink and small snack and the afternoon children that have just arrived join in too for this snack. A two-course, home-made afternoon tea prepared by our qualified on-site chef. Tea times are also social times, therefore children learn to lay the table, practice good table manners and handle their cutlery correctly. We love to share your child’s achievements and daily activities with you, therefore feedback is given to each parent/carer at collection time. You can also use this time to catch up with their Key Person. 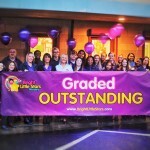 Bright Little Stars Nursery is committed to supporting the local community. In particular, we believe in children and helping every child reach their full potential. Barnardo’s shares our values and work to improve the lives of vulnerable children and young people across the UK which is also a cause close to our hearts. We welcome the opportunity to work in partnership with Barnardo’s, one of the UK’s leading children’s charities. Bright Little Stars Nursery invites you to join us in supporting Barnardo’s, such a worthy cause. 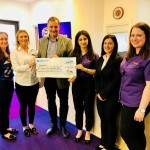 We will be taking part in a variety of events throughout the year to fundraise for Barnardo’s, such as ‘The Big Toddle’ which is the UK’s biggest under 5’s charity event as well as many other initiatives which will also give our children, parents/carers and staff members the opportunity to join in. ‘Like’ us on Facebook and ‘Follow’ us on Instagram and Twitter to keep up to date on all our news and fundraising events. Your donations can help Barnardo’s to transform the lives of the most vulnerable children across the UK through the work of their services, campaigning and research expertise. 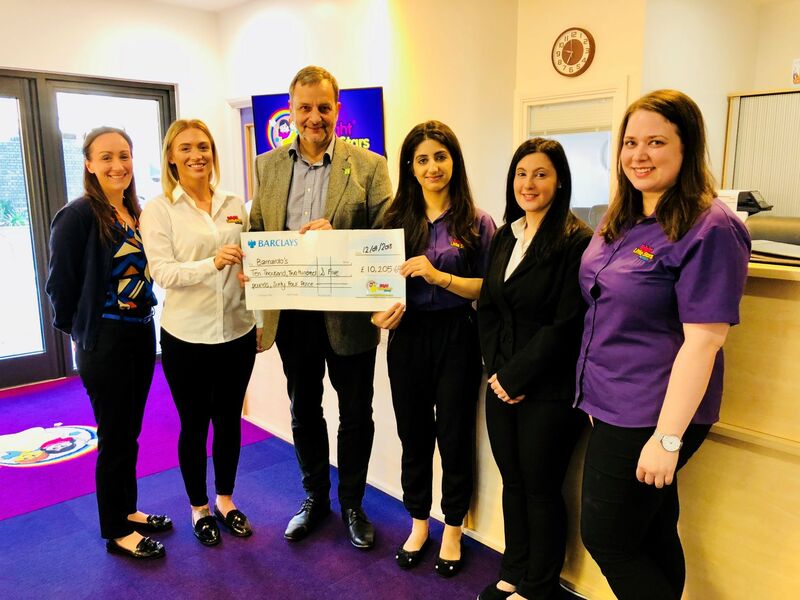 Bright Little Stars Nursery pledges to match donations made by our parents/carers, friends, family and staff members for specific Bright Little Stars fundraising events up to a maximum of £1,000.00 per event, therefore every £1.00 donated will be worth £2.00 to Barnardo’s. If you would like to make a donation, it will be much appreciated. Feel free to pop in and see us to enquire how you can donate. Alternatively, you are welcome to make a donation through JustGiving which is simple, fast and totally secure. Once you donate, they will send your money directly to Barnardo’s. 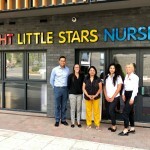 Please visit our Bright Little Stars Nursery JustGiving Team Page at https://www.justgiving.com/teams/BLSNursery to make an online donation. We would like to say a BIG THANK YOU to all our parents/carers, staff members and everyone else for all your support to date. Let’s work together to better the lives of vulnerable children and young people across the UK. Look at how much we have raised so far! Make a Wish is a leading UK children’s charity which grants magical wishes to enrich the lives of children and young people fighting life-threatening conditions. The wishes are varied but are all personal to each child; it could be starring in their own film, walking with dinosaurs, going on an amazing holiday, meeting a celebrity or even their favourite superhero. 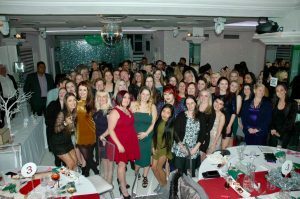 At the Bright Little Stars 2017 Group Christmas Party, the amazing staff team raised £2,125 to support a child’s wish through the Make a Wish foundation. The wish sponsored was for Michael (aged 13) to see the Northern Lights. Through the generosity of our BLS staff team, 65% of the cost of the entire wish was donated and it was not long before Michael was off to meet huskies, go on a snowmobile safari and sleep under the stars in a magical wilderness hotel whilst sharing this magical experience with his loved ones. 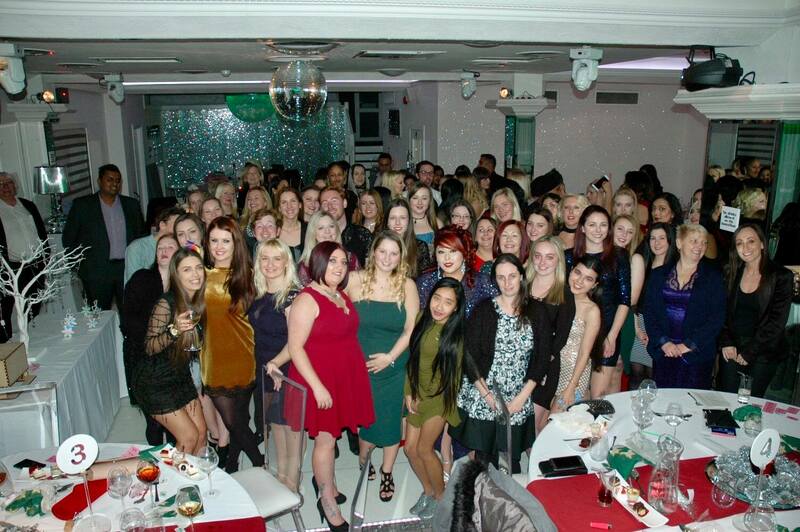 At the Bright Little Stars 2018 Group Christmas Party, our awesome staff team raised £2,095 to support a child’s wish through the Make a Wish foundation. This year, the wish sponsored was for Tommy (aged 8) to go on an exciting holiday to Disneyland Paris. We are beyond delighted that through the generosity of the BLS staff team, we were able to wholly donate 100% of the cost of the entire wish. We truly hope that Tommy and his family were able to have a magical time and create some very special memories. We are delighted to share our Special Events and would like to extend our thanks to our visitors for taking the time to visit and support us. The children and staff were excited to meet you and we really enjoyed showing you our unique facilities and learning programme. At Bright Little Stars Nursery we are celebrating our Award-Winning status after receiving ‘The Teresa Graham CBE People Award’ at the LEA Awards of Excellence 2017. 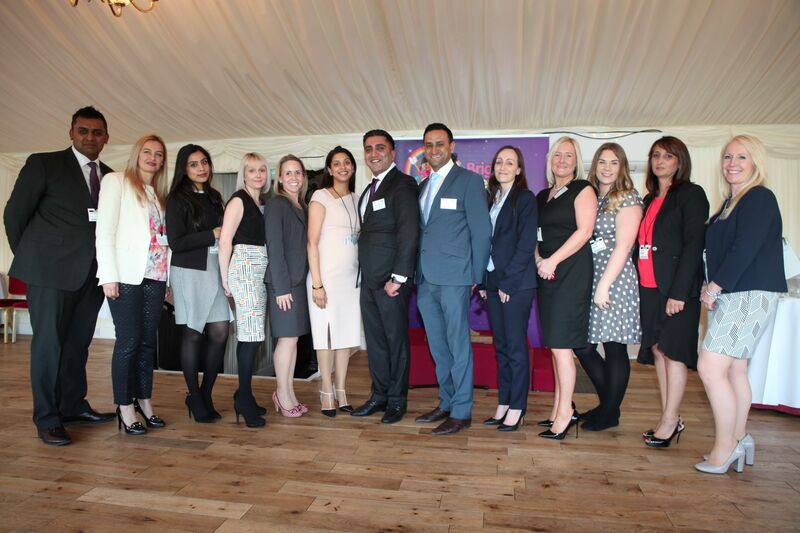 The award recognises the work undertaken in making an impact on the lives of the children we care for and the fantastic work we carry out to support not only our children, but our parents and our staff teams. We are proud of the impact our organisation has made with a dedication to helping to educate others and are all absolutely delighted to be recognised for going the extra mile for our children, parents and staff.